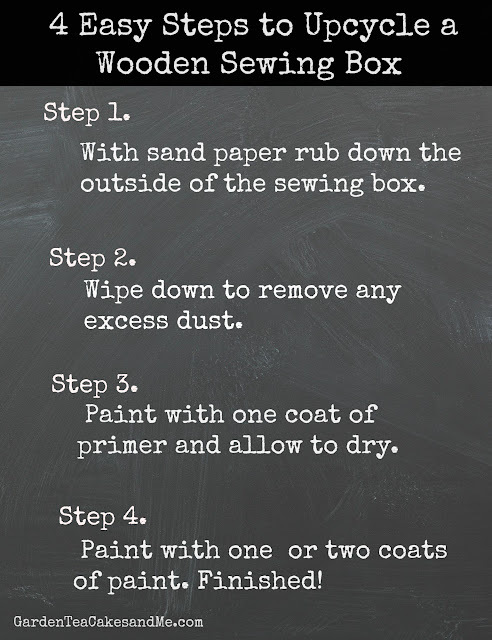 I have a wooden sewing box that was bought for me as a gift for my 40th birthday a few years ago. It is a sturdy and practical sewing box, it fits in many of my essential sewing accessories perfectly. 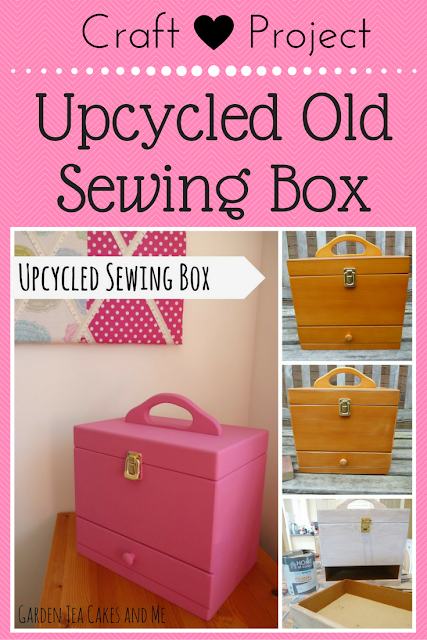 Since completing the Makeover of my Sewing Room the wooden sewing box looked out of place, as though it did not belong. Solution? Upcycle the wooden sewing box to match the Sewing Room. I am so pleased with the result. It has turned out perfect, and was so easy to do. A task I had started outside in the sunshine, but with typical British weather and rain clouds forming it was completed inside. A small match pot of paint is sufficient to complete two coats. 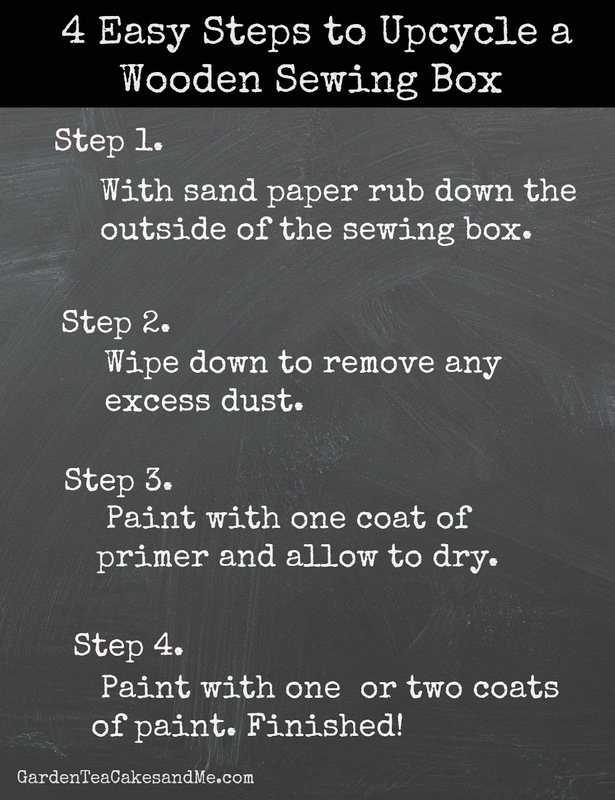 Why not follow my easy steps to update your own sewing box. Are you on Pinterest? Why not follow my craft board? 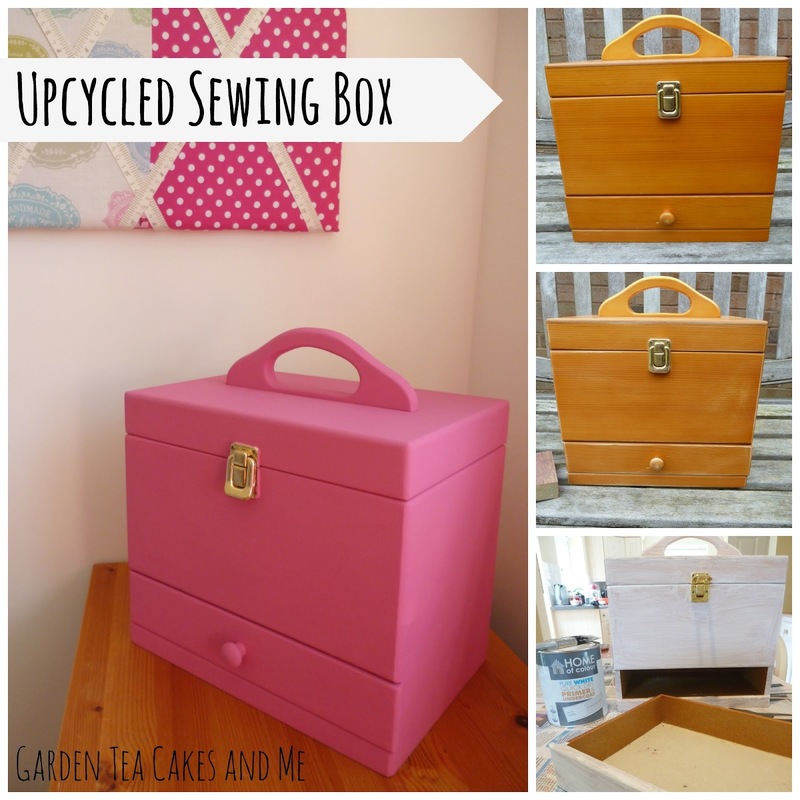 What a lovely upcycling project!!! I love the shade you've chosen too — such a fabulous raspberry shade!! It looks so pretty now, what a great idea. I love the idea of upcycling, but I must confess I've never upcycled anything. I should use your tutorial as the instructions seem quite easy. I have such a sewing box, so I usually can sew their own look, very convenient.